For those of you how don't know what nuchinunde is, it is nothing but steamed lentil dumplings. These dumplings are loaded with protein and rich in fiber. This dish is perfect if you are watching your waistline. When I say that this dish is healthy and steamed, it doesn't mean that nuchinunde lacks in flavor. 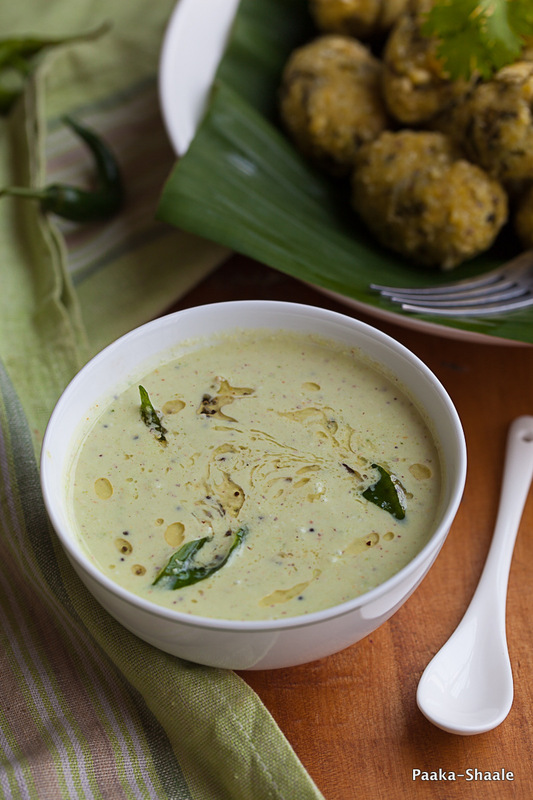 The liberal use of green chilies and herbs and coconut is sure to leave your taste buds tingling. 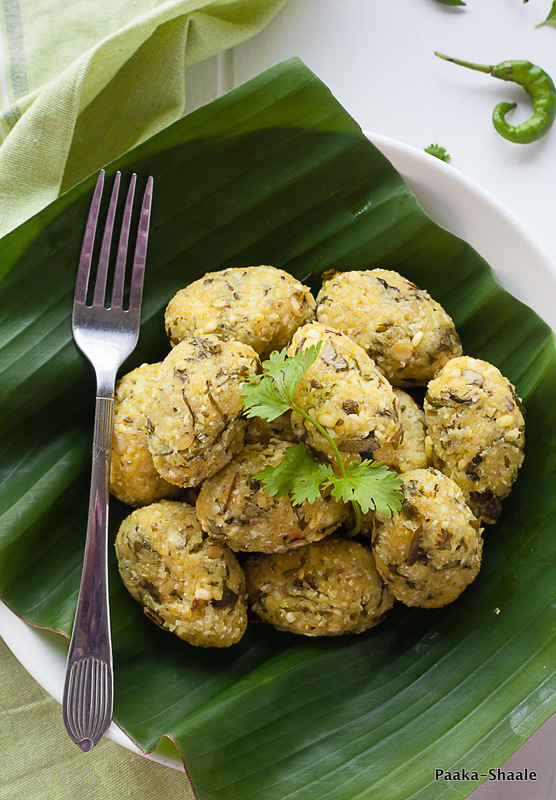 Since it is customary to make steam baked dishes on the occasion of Naga Panchami, you are sure to find nuchinunde on the festival menu. 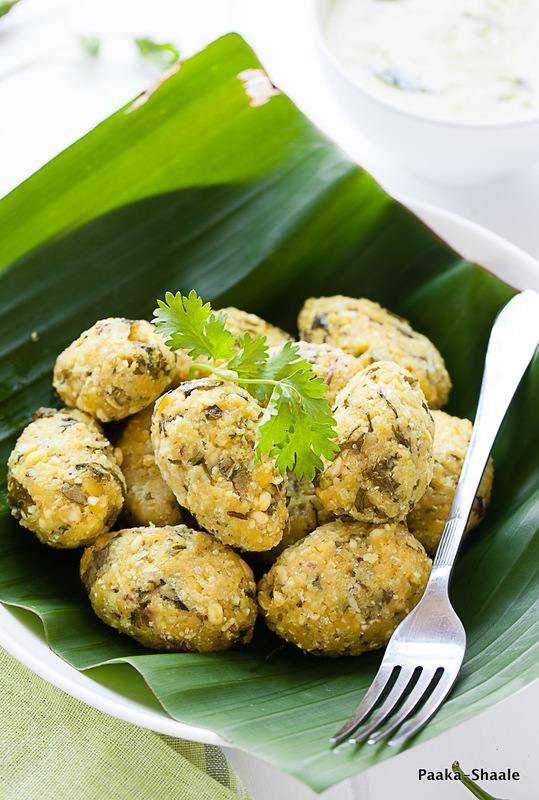 These dumplings can be made either using only pigeon peas or with two to three kinds of lentil combinations. It can also be flavored with herbs like dill, coriander, mint, and vegetables like carrot, french beans and Cabbage. 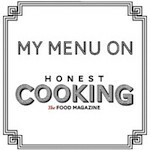 This is one versatile dish that can be experimented with various flavors. Ironically, this wholesome snack is not something that you will find in restaurants. I feel that it's appearance at home cooked meals is also becoming rare. To me, nuchinunde is one of those dishes that almost always transports me back to my mother's and my grandmother's kitchen. The scene of piping hot nuchinunde served in a small plate with a big dollop of ghee is still vivid in my mind. 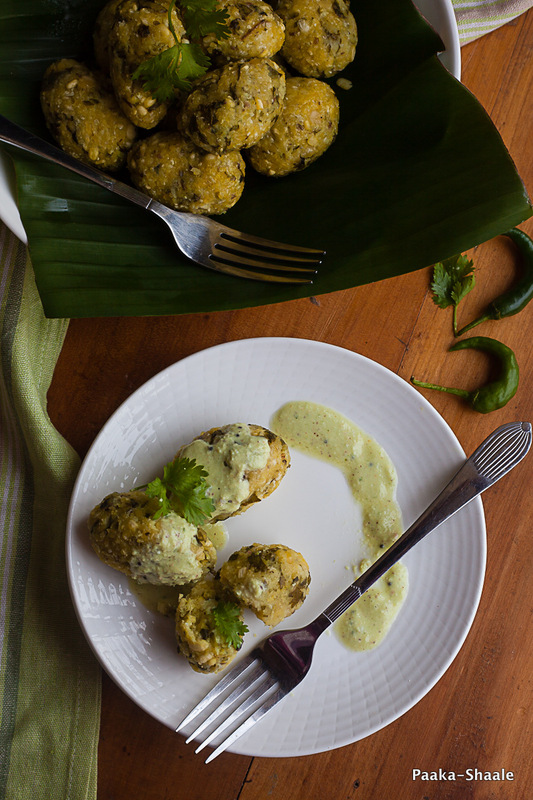 Nuchinunde can be served with coconut chutney or with ghee. But I like it best when it is served with hasi majjige. Hasi majjige is nothing but a yogurt based gravy, in which all the ingredients are raw. This gravy is delicious and it takes about five minutes to whip it up. Try having nuchinunde with this spicy tangy sauce. I am sure you will not be able to stop at one. Wash the toor dal and the moong dal and soak in enough water for atleast 5hrs or overnight. Drain the soaked lentils and transfer to a blender jar. Add the grated ginger, green chilies and turmeric to the drained lentils and pulse in a blender for five to six times. The lentils should not be ground to a fine paste. It is ok if some portion of the lentil is left whole. Transfer the ground lentils to a large bowl and add the grated coconut, curry leaves, coriander leaves and salt and mix well. 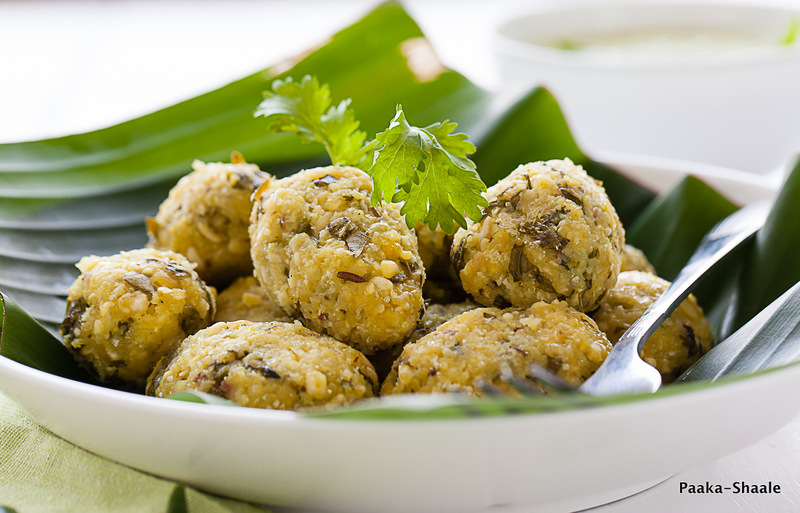 Divide the lentil mixture into 12-14 portions and shape them into oval shaped dumplings. Grease a pan or steaming plate with oil or ghee and place the dumplings in it. Steam the dumplings in a pressure cooker or steamer for 10-12mins. 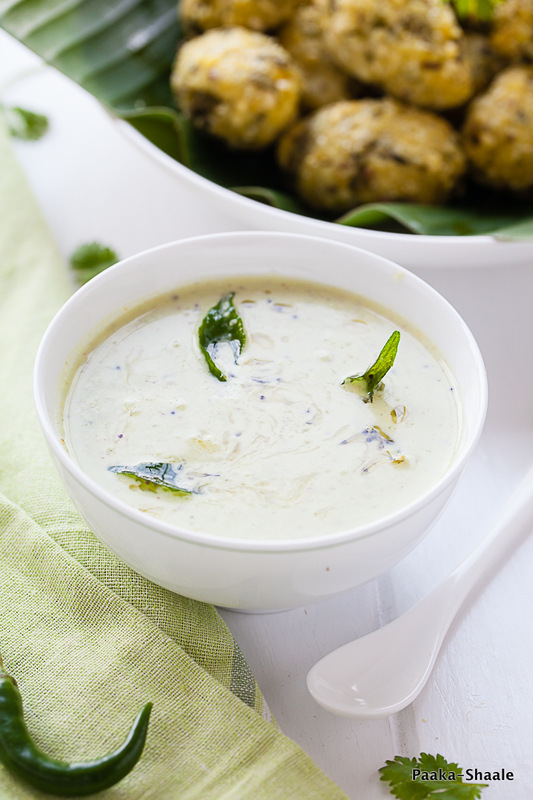 Serve hot with coconut chutney or Hasi Majjige. Combine the coconut, mustard seeds, ginger, green chilies, roasted gram, coriander leaves and salt in a blender jar and blend till the mixture is coarsely ground. Add quarter cup of yogurt to the mixture and blend till smooth. For the seasoning, heat oil in a pan and add the mustard seeds. Once they crackle, add the curry leaves and asafetida and fry till the curry leaves turn crisp. Take off the heat and add the seasoning to the hash majjige and serve immediately. 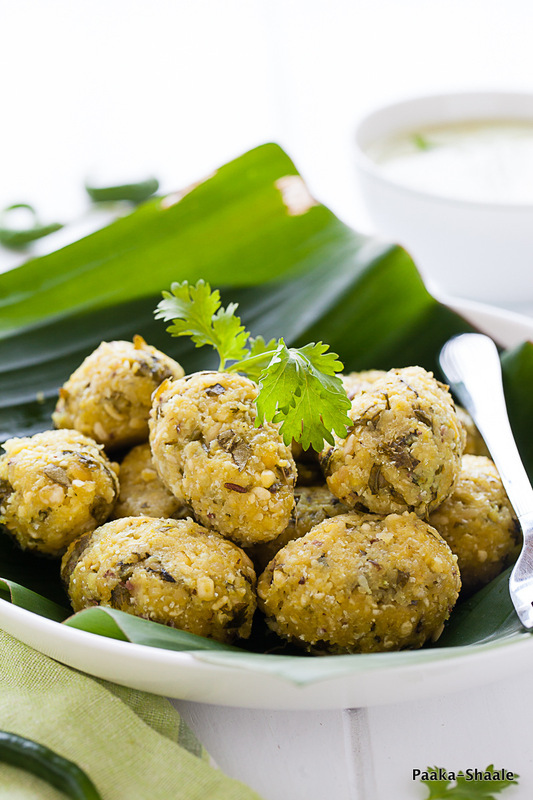 You can substitute the moong dal with equal quantity of toor dal or chana dal. The coriander leaves can be substituted with baby dill and an onion. If you want to serve nuchinunde as a side dish, then simply dunk the steamed nuchinunde in majjige huli gravy. The majjige huli should be made without any vegetables though. I saw this on Fb and came running here to your blog. It looks even more delicious and fabulous here. reminds me of my childhood. Such a typical Kannadiga dish, one that always makes me proud! I love your pics and the composition. Well said, Nucchinunde is so healthy, yet doesn't lack in flavor. Beautiful Nandita! I love the way these dumplings look, Nandita. The recipe sounds so good I must try it soon. Thanks for sharing!